Pensyl Enterprises L.L.C. is not only here to sell parts and STAR CARS, but has the ability to take any make car and do current updates and or safety additions to satisfy the customers needs and financial abilities. We have a full fabrication department. Welding services include steel, stainless and aluminum in m.i.g. and t.i.g. 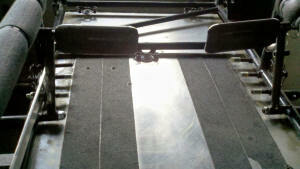 Laser cutting is available off premises. 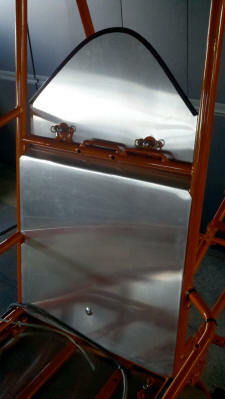 We also offer aluminum sheets of various colors and thicknesses for body panels or any other aluminum needs. 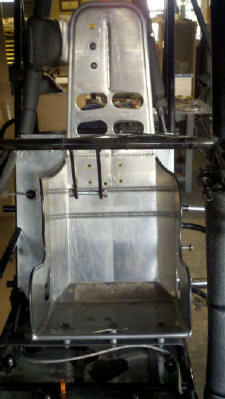 We can design to customers needs or utilize our body style to fit your car. We are a full service facility and stock all sizes of chrome-moly tubing, stainless steel rub rail tubing, and aluminum radius rod material. We can cut to size and or manufacture to any need. We also stock almost all "mini rack" carbon steel products for any of your needs, whether it be for your trailer, vehicle, pit bull, or personal use. 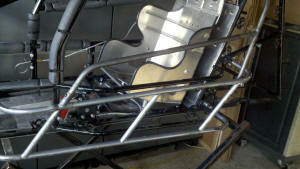 We also offer complete car setup, regardless of manufacturer. Upon delivery of your vehicle, you will receive a complete setup sheet and baseline chassis adjustments are discussed. All information is confidential. When you leave Pensyl Enterprises, you car will turn left when needed, and be fast. This service initiates at $100.00 set-up fee, which gets the car in the shop. 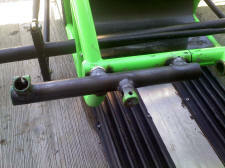 Springs and shocks are checked for correct weight and workability. At this point, if shocks, springs, and tires are in sync with your class and current track, final setup occurs. This process is approximately 3 hrs, and additional parts and labor are reflected in final cost. This step is very important to car owners who possibly in the past, shot from the hip or were misguided into proper baseline setup. Our procedures gives you confidence as a car owner, that you have a competitive car. We also work with improving the drivers ability once in the car. We are always striving to create driver confidence and ability, which will take them to their next competitive level. Here at Pensyl Enterprises, we pride ourselves in concerning first, the owners financial ability. We strive to guide and sell the owner only what he needs to get the job done. We will not sell you what you don't need. We are not your typical parts distributor. We offer alternatives & options to allow the customers to make the correct choices based on their wants and needs. Thank you for taking the time to get this far, We are positive once you have familiarized & entrusted yourself with Pensyl Enterprises, you will look this way often for proper guidance and support.